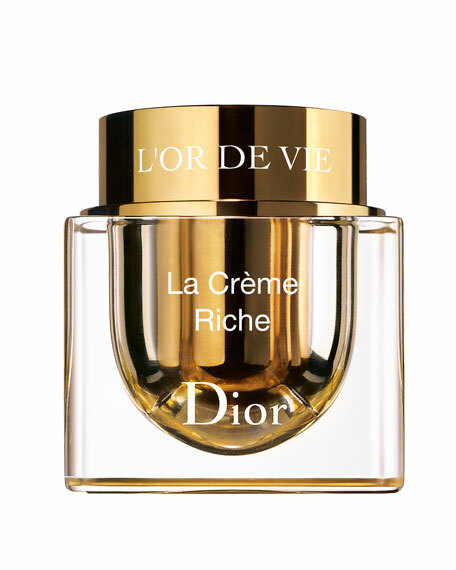 The New L'Or de Vie delivers revolutionary anti-aging benefits that stop time in its tracks. The ultra-concentrated formulas now include Miyabenol C, a polyphenol molecule unique to the vines of Yquem which targets the skin cells' own DNA to correct all signs of aging. Immediately, the skin is smoother, firmer and more luminous and its appearance is more youthful than ever. New La Creme Riche for face and neck: The rich texture features deeply nourishing vine wax from the Chateau D'Yquem vines to repair, plump and soften even the driest of skin for the ultimate in anti-aging care.